Innovative design and product planning gave birth to the Qashqai and Juke, two of the biggest automotive success stories in recent years. Now the company has applied the same radical thinking to one of the most important sectors of the market: the compact hatchback. 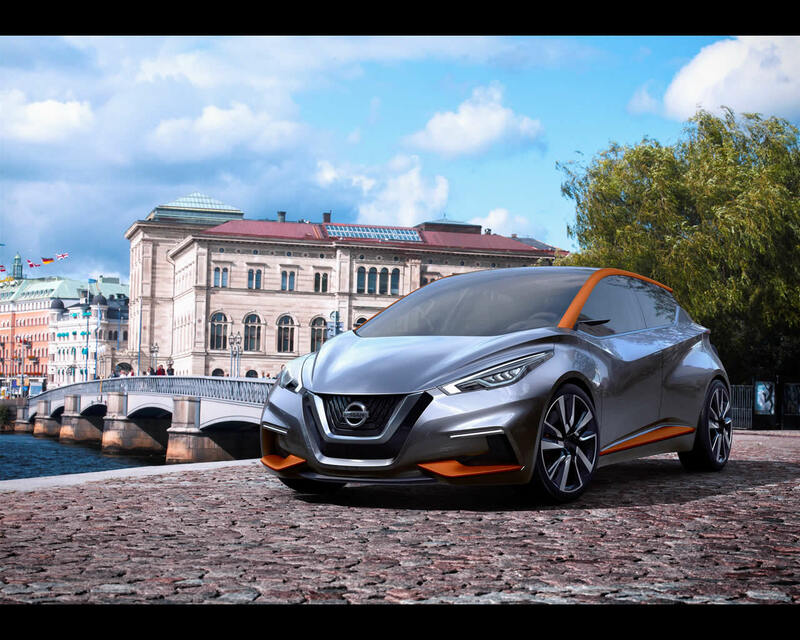 Unveiled at the Geneva Show, the Sway is a glimpse at how a future generation of compact Nissan models might look if the company's striking new design language was applied to a European hatchback. It is a concept car designed especially to appeal to European tastes: it is seen as emotional, edgy and exciting. 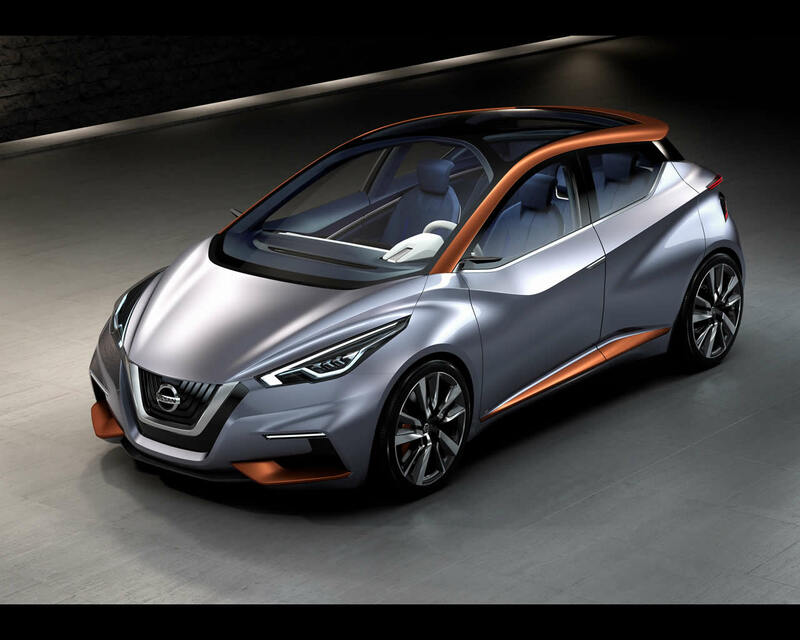 The exterior, meanwhile, blends four highly distinctive elements - the V-motion grille, floating roof, boomerang lamps and kicked-up C-pillar - to shape a new design signature that has already been seen on the Nissan Lannia Concept that was presented last year in Beijing at Auto China 2014, as well as the new Murano recently launched in the US. 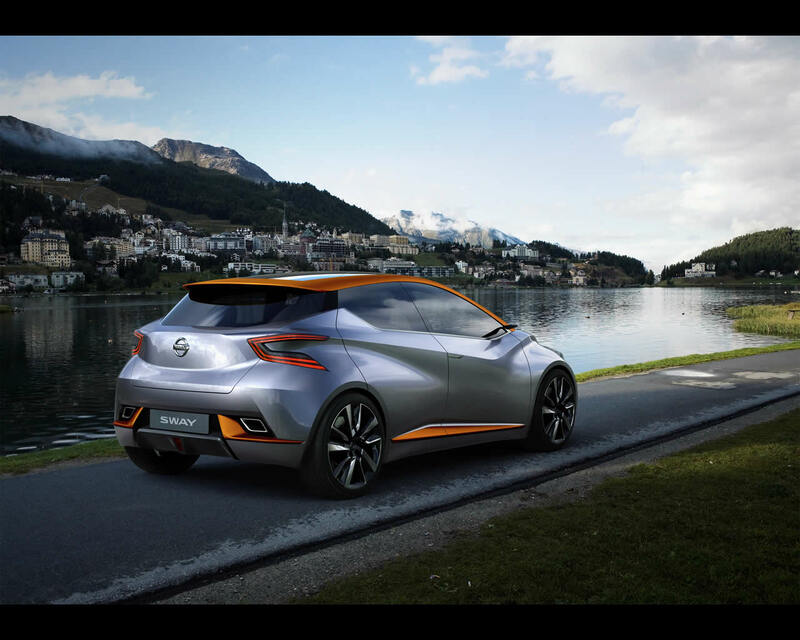 The Sway represents the first time this new design language has been expressed on a compact hatchback, while future Nissan models in different market segments in all regions will follow this styling direction. The Sway's character line begins with the V-motion grille, mounted low at the front between twin V-shaped quarter bumpers. The grille is the starting point for a bold contour that curves over the bonnet and front wheels before dipping dramatically towards the centre of the front door. It then sweeps upwards towards the rear of the car, giving the side profile an almost sensuous form. Alongside the V-motion grille sit the boomerang headlamps. Usually the boomerang shape is created by the use of LED lamps within a more conventional lamp shape: this time the lamps themselves take the signature shape, while the LEDs within create the impression of a pair of eyes, watching. The signature boomerang tail-lights are equally dramatic, dissecting the rear three-quarter elements of the car. Twin trapezoidal exhaust pipes emerge from either side of the registration plate housing towards the middle of the rear section rather than underneath the bumper. Complex rear doors house not only the extended sill and waistline crease, but also the shapely flared fenders needed to cover the rear wheels. An upward flick towards the rear of the glass-line reduces the C-pillar between the door and the floating roof to a minimum. 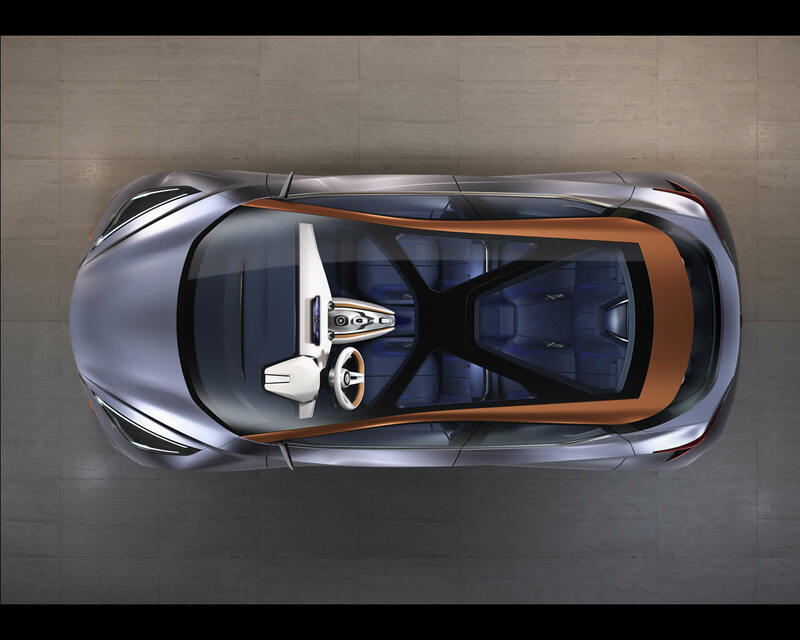 To ease ingress and egress, this concept car has no central B-pillar and rear-hinged back doors. 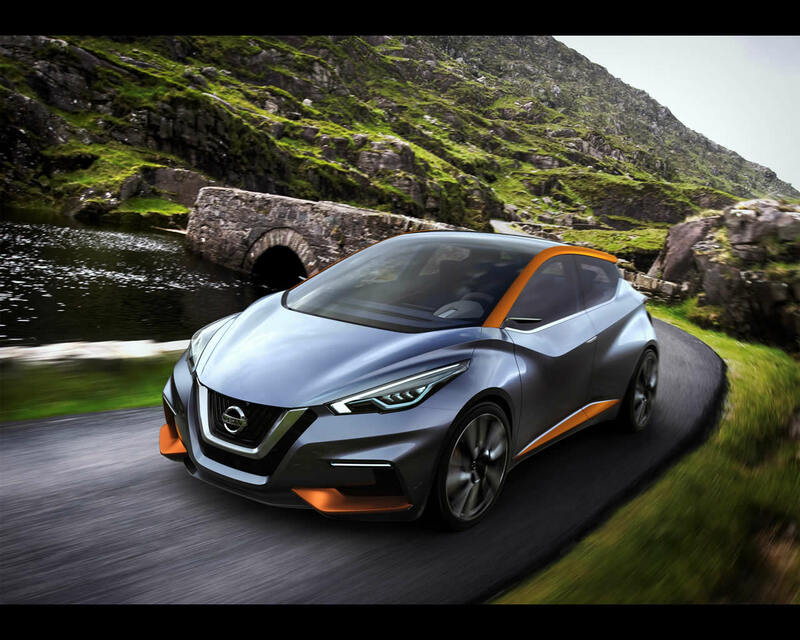 Another feature of Nissan's new design language is the floating roof, which is expressed this time by a panoramic glass roof, framed by an extended C-shaped construction running from the A-pillars along the side of the roof to the rear cross link above the tailgate. 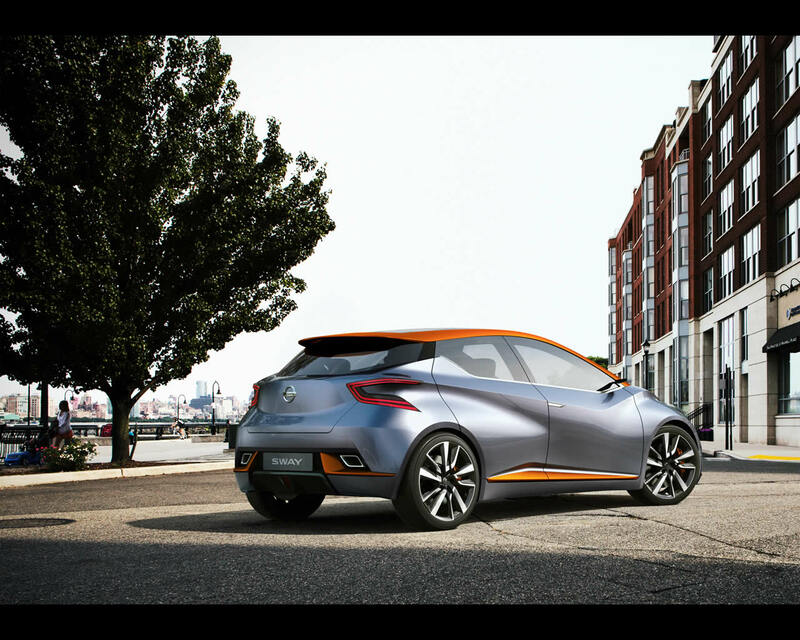 On the concept car this structure is highlighted by the use of a bold orange colour that contrasts with the blue-grey of the body. Extra rigidity is provided by a distinctive deformed X-structure in the centre of the roof with the crossing point of the ‘X' sitting above the front seat passengers. The glass roof provides two major benefits: those on the inside can enjoy a sense of freedom and space while those on the outside can admire the interior. Additionally, the Sway is unique in its colour coordination between the exterior and interior. The exterior colour of the car is "bluish dawn grey", a grey with hints of blue which are visible under light, harmonised with a contrasting orange colour. The sophisticated colour combination fits yet stands out beautifully with the European cityscape. 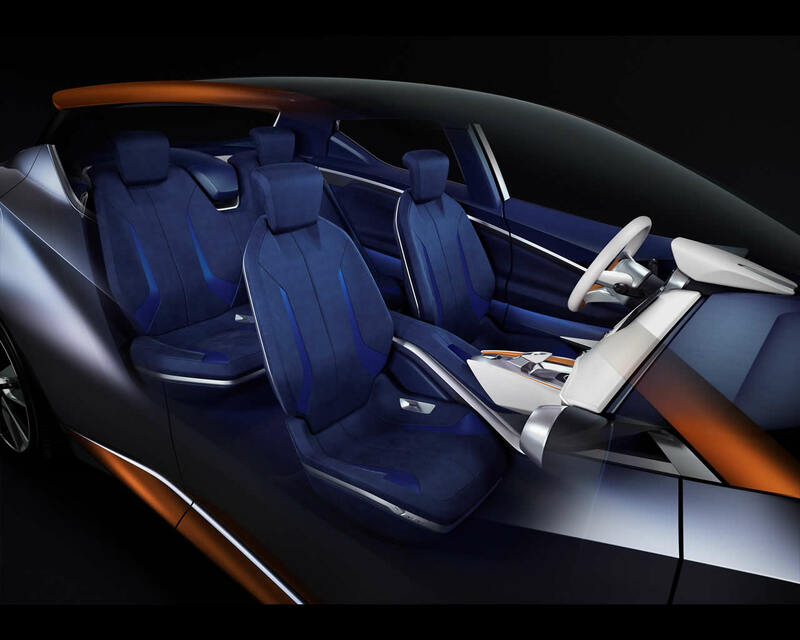 The interior uses a darker, deeper blue, with high contrasting ivory and orange colours matching the exterior to give a sense of unity to the car. 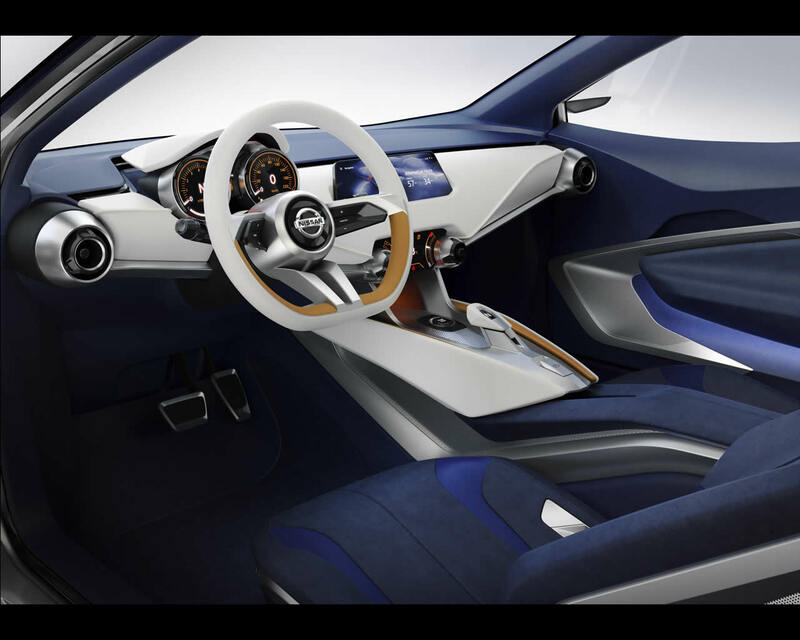 Inspired by the IDx show car first revealed at the 2013 Tokyo motor show, the Sway adopts - and develops - its interior design concept of a gliding wing shaped dashboard. The driving force behind the gliding wing shape is its elegant simplicity. The result is an interior in which function takes a priority, and where nothing has been used for mere decorative effect. Structural elements, for example, are shown as structural elements. The door pulls are designed to be integrated as a part of exposed aluminium struts. Even the three-spoke steering wheel has a ‘back-to-basics' simplicity, with a squared off bottom section and aluminium spokes. Just two basic instruments face the driver, with all other functions captured on a large trapezoidal tablet in the centre of the dashboard visible - and usable - by both driver and front seat passenger. The lightweight seats have an aluminium structure - once again exposed - and are covered in a premium suede-like fabric partially accentuated with pearl-effect material, featuring stitching techniques more usually found on luxury handbags. Colour co-ordination sees the use of strong blue and orange themes inside, complementing the exterior perfectly. Although a compact car, the lack of clutter, the removal of the B-pillar and the use simple yet elegant structures makes the interior seem larger than expected. "We believe that the Sway continues our tradition of challenging the status quo in market segments by bringing something fresh, distinctive and striking, much as we did with Qashqai and Juke. 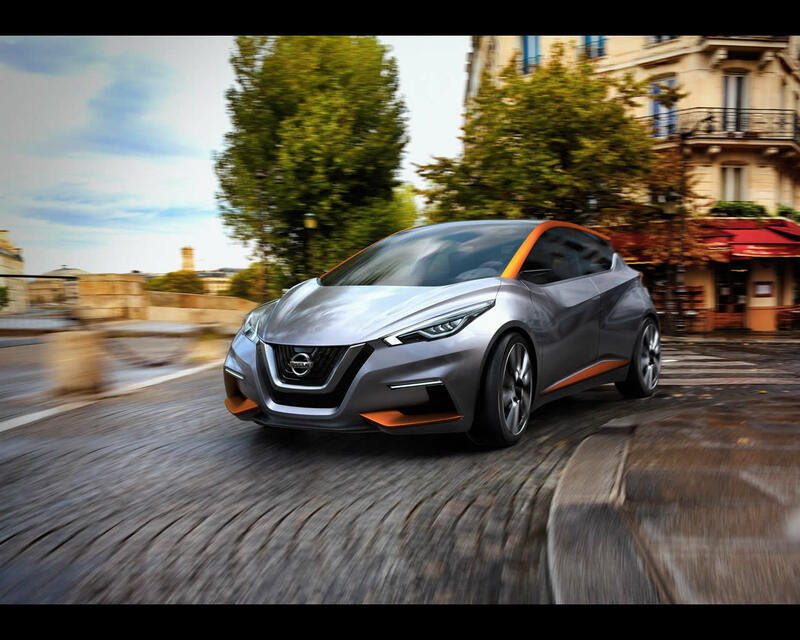 "With this new concept car for Geneva, we are experimenting to see how Nissan might be able to bring fresh ideas to the compact hatchback segment," said Shiro Nakamura, Senior Vice President, Design and Chief Creative Officer, Nissan Motor Co., Ltd.
Paul Willcox, Chairman Nissan Europe, said: "Nissan is on the move. The brand stands for bold, innovative thinking in the European automotive market - indeed around the globe - and our growth in Europe is led by outstanding new products, which are defined by outstanding design. 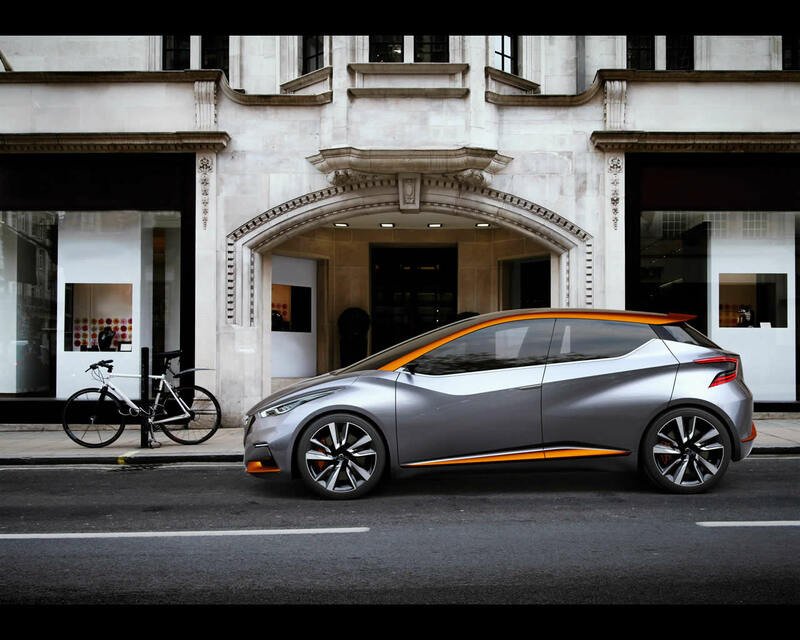 The Sway underlines how important design is for Nissan in building our brand and driving our growth."